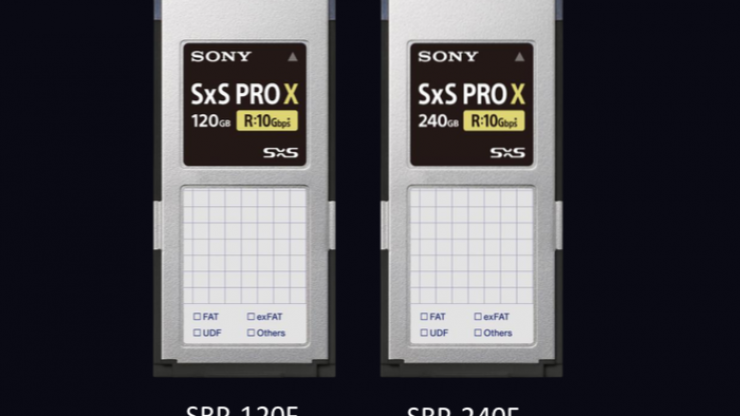 Sony has just announced new SxS Pro X Cards and an SxS Pro X card reader at NAB 2019. SxS Pro X is the next step up from SxS Pro+ and it offers transfer speeds of up to 10Gbps (1250MB/s). This is significantly faster than the SxS Pro+’s 3.5 Gbps max read speed, and 2.8 Gbps max write speed. 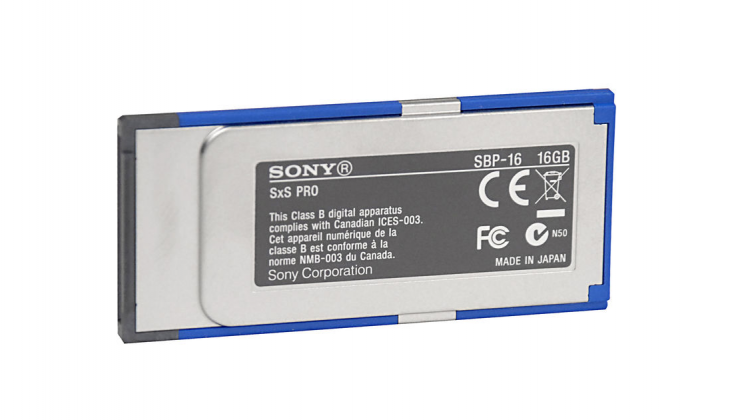 The claimed transfer and write speeds of the new SxS Pro X are also higher than those of the Sony AXS Memory A-Series Cards that are used in their AXS-R7 and AXS-R5 RAW recorders. 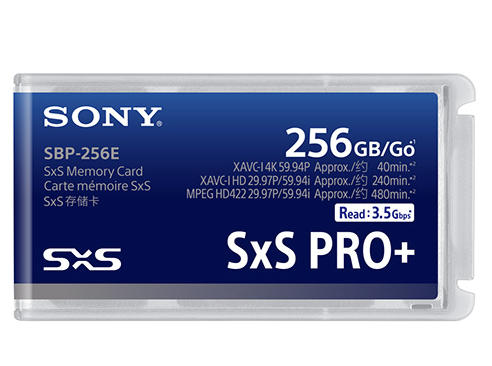 The SxS Pro X cards will come in two capacities: The SBP-120F (120GB) & SBP-240F (240GB). I think the real benefit of these new cards is ability to offload large amounts of data in a relatively short period of time. 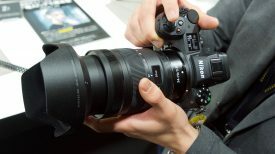 Even though these new cards look like they could easily record Sony’s RAW & X-OCN formats, that is unlikely to happen. 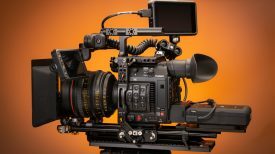 With RED owning several patents on in camera compressed RAW recordings I think you are still going to have to use a Sony AXS-R7 to record RAW & X-OCN formats when using a VENICE, F55 or F5. As these new cards have only just been announced we still have very limited information about them, but we will attempt to find out more. 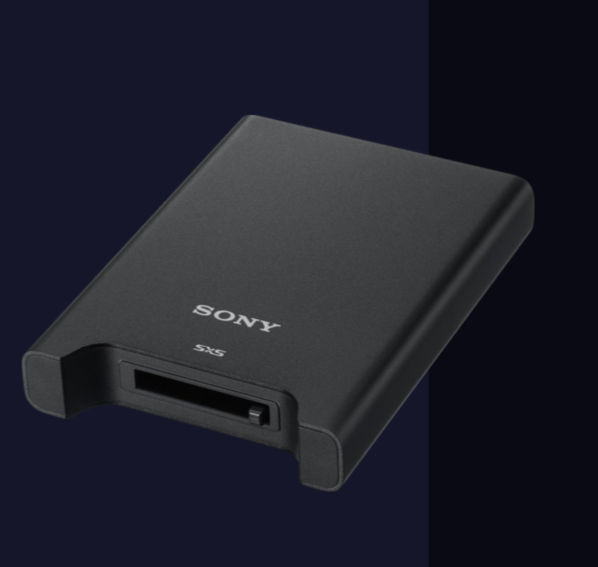 Sony has also announced the SBAC-T40 SxS memory card reader/writer. While it looks identical to the existing SBAC-US30 it offers approx. 3x faster transfer speeds when using an SxS Pro C card. 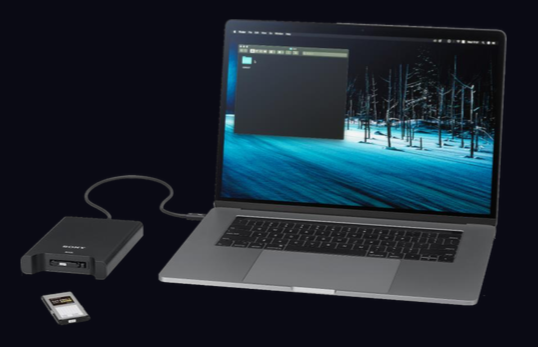 The SBAC-T40 SxS memory card reader/writer will be available in the northern hemisphere fall. SxS cards were announced way back in 2007 and they have been used on a variety of cameras over the years. The original SxS flash memory cards had transfer rates of 800 Mbit/s and burst transfer rate of up to 2.5 Gbit/s over the ExpressCard’s PCI Express interface. 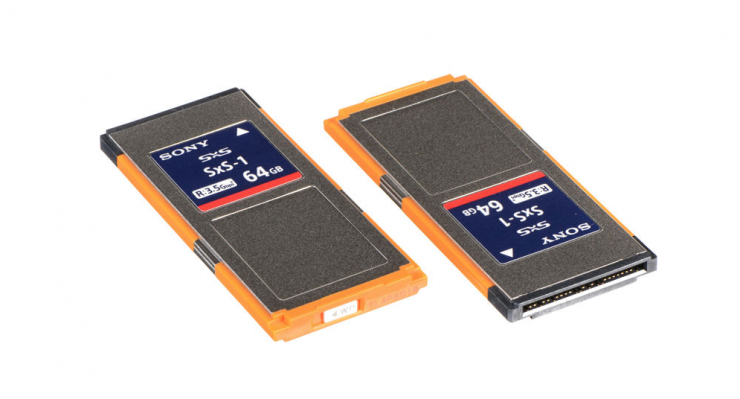 Sony first used these cards as the storage medium for their XDCAM EX line of professional video cameras. Then in 2011 came SxS Pro cards. These cards could read and write data at up to 1.2Gb/s through an ExpressCard slot without the need for an adapter. A 64GB capacity SxS Pro card enabled you to capture 120 minutes of HD422 50Mb/s recording in the MXF mode. SxS Pro+ cards appeared along with the Sony F5 and F55. They are a faster version of SxS Pro designed for the recording of 4K resolution video. SxS Pro+ has a guaranteed minimum recording speed of 1.3 Gbit/s and an interface with a theoretical maximum speed of 8 Gbit/s. 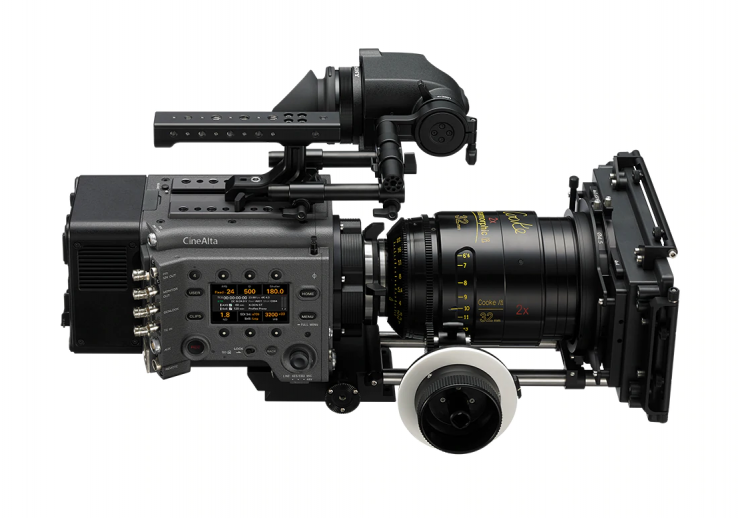 SxS Pro+ media cards are used on three CineAlta cameras, the Sony PMW-F55, Sony PMW-F5, and the Sony Venice. A 128GB SxS PRO+ media card can record up to 20 minutes of 4K resolution XAVC video at 60 fps, up to 40 minutes of 4K resolution XAVC video at 30 fps, and up to 120 minutes of 2K resolution XAVC video at 30 fps. There is currently no indication of pricing for the new SxS Pro X cards, but I wouldn’t expect them to be cheap. Given a slower 256Gb SxS Pro+ card retails for $1,679.95 USD, I would expect the new cards to be a lot more expensive. The cards are expected to be available in the northern hemisphere fall. 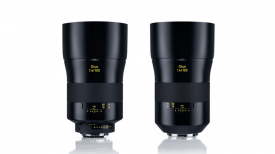 Are you a Sony VENICE, F5 or F55 user? Would you buy these new cards? Let us know in the comments section below.